The Way Of Saint James has captured the imaginations of active travellers since the Middle Ages. Spain itself has a spectacular past that seems to be alive today; ancient Roman bridges still being used just blend into the modern countryside and those who depend on the structures don't think twice before crossing them. On our Way Of Saint James Tour take an enlightening trek on the Way of Saint James to a mediaeval castle that stands just outside one of the quaint villages, or visit a church and see ancient relics that all seem to have elaborate stories behind them. 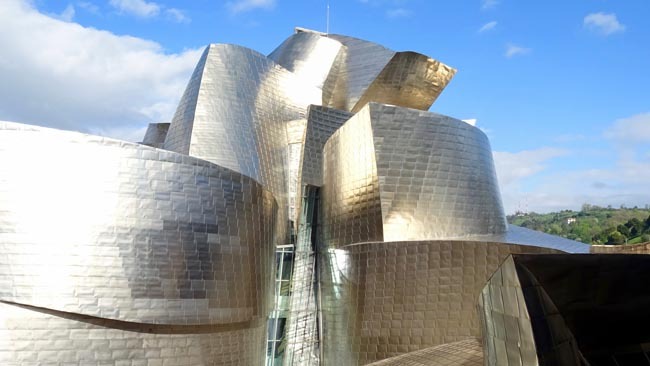 The achievements of today are also just as impressive; an excursion to the Guggenheim Museum in Bilbao allows us to view some of the most influential European and American art from the 20th century, like the works of Picasso, Mondrian and Ernst. In this country, the only thing that rivals humankind's achievements are those of Mother Nature. When we take a 3 km walk along the rim of the tremendous Lumbier Gorge or look down at the view from the top of Montes de Leon, we realize that nature's artistic merit is itself nothing short of a masterpiece. Our tours along the Way of Saint James are moderate hikes that require a degree of physical fitness. Friendly, respectful of various personalities, very good sense of humour. She controlled the group without coming off as being bossy. We arrival in Bilbao and transfer to our hotel. 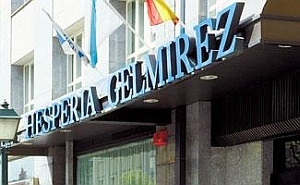 PLEASE NOTE: Due to extremely limited accommodation along el Camino, our hotels may be located in the general vicinity of the overnight points indicated on our itinerary (with the exception of major centres like Bilbao, Leon, and Santiago). 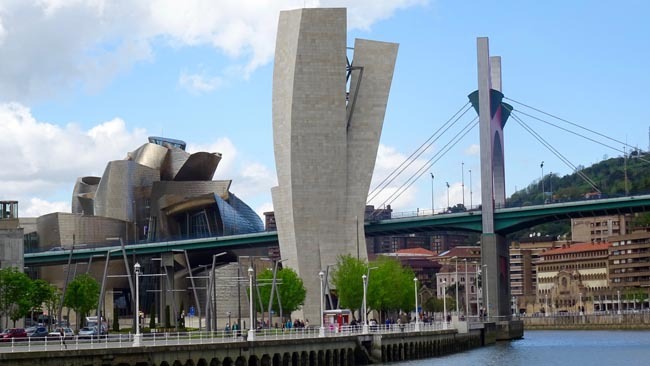 Today we have a guided half-day "panoramic" tour of Bilbao, including the newest and biggest attraction in town, the Guggenheim Museum. The 31 329 sq m (349,000 sq foot) colossus is one of the focal points of a $1.5 billion redevelopment plan for the city. The Frank Gehry design features a 50 m- (165 foot-) high atrium -- more than one-and-a-half times the height of the rotunda of Frank Lloyd Wright's Guggenheim Museum in New York. Stretching under the bridge and incorporating it in its design, the museum reanimates the promenade with its towering roof, reminiscent of a blossoming "metallic flower." The museum is devoted to American and European art of the 20th century, featuring the works of such renowned artists as Kandinsky, Mondrian, Picasso, Ernst, Pollock, Lichtenstein, Oldenburg, Serra, and others. We will likely finish at the museum so that those who want to linger after the formal guided portion of our visit may do so. Today we travel to Pamplona, located within the region of Navarre. The city is be best known for the tradition of the running of the bulls which occurs in July every year as made famous by Ernest Hemingway's "The Sun Also Rises." En route we stop at San Sebastian, the undisputed queen of the Basque resorts. Set around the deep, still bay of La Concha and enclosed by rolling low hills, it's beautifully situated; the old town sits on the eastern promontory, its back to the wooden slopes of Monte Urgull, while newer development has spread along the banks of the Urumea, around the edge of the bay to the foot of Monte Igueldo and on the hills overlooking the bay. We have time for lunch and some exploration before continuing to Pamplona. We have a walking tour of the old fortress city of Pamplona (Iruna), said to have been founded by the Roman general, Pompey. In the ninth century it became the capital of Navarra. This otherwise quiet city explodes into life in July during the fiesta of Los Sanfermines, with its dare-devil bull running. From the old city walls (murallas) we can get a good overview of Pamplona. The nearby cathedral, which is built in ochre-coloured stone, looks down on a loop in the Rio Arga. We visit the Museo de Navarra, a museum of regional archaeology, history and art. Exhibits include Roman mosaics and an 11th-century, Islam-inspired ivory casket. There are murals painted during the 14th-16th centuries, a portrait by Goya and a collection of paintings by Basque artists. This morning we leave Pamplona and make a stop at the spectacular Lumbier Gorge. You will be struck by the power of the water and the erosion which, over millions of years, has managed to carve these ravines in the mountain. They are inaccessible spots with vertical walls, deep rivers, rocky places furrowed with cracks and caves, the refuge of many animals and birds. We'll walk along the rim for about 3 km (flat surface). We continue to Santa de Maria de Eunate, a striking octagonal Romanesque church built by the Knight Templars and rising romantically in the middle of the green fields. Today we begin our walk along el camino from the church to the proud village of Obanos, where many houses still preserve the Coat of Arms (2 km, mostly flat). From Obanos, the trail brings us to Puente la Reina (3 km). Puente la Reina, an evocative medieval town built for pilgrims at the meeting point of two Spanish pilgrim routes. The camino Frances from Roncesvalles, France and the camino Aragones converge at Puente la Reina's 11th century bridge. The town retains its original vocation and the genuine atmosphere of a place of pilgrimage. DAY SUMMARY: 8 km (5 mi) of easy walking. Overnight in Puente la Reina. We stroll the timeless main street, cross the thousand-year-old bridge that spans the green Arga River, and hike el camino along the Raga for a while (flat), and then uphill towards the village of Maneru (approx 90 min). After Maneru, the trail meanders through a lovely patchwork of vineyards and orchards up to the hilltop village of Cirauqui, with its remarkable collection of both civil and religious buildings. From Cirauqui, we follow and ancient paved road (downhill) lined with cypresses and we cross the Roman bridges still in use to reach the town of Lorca. We return to our hotel in Puente la Reina for the night. DAY SUMMARY: About 15 km (9.5 mi), rolling terrain. 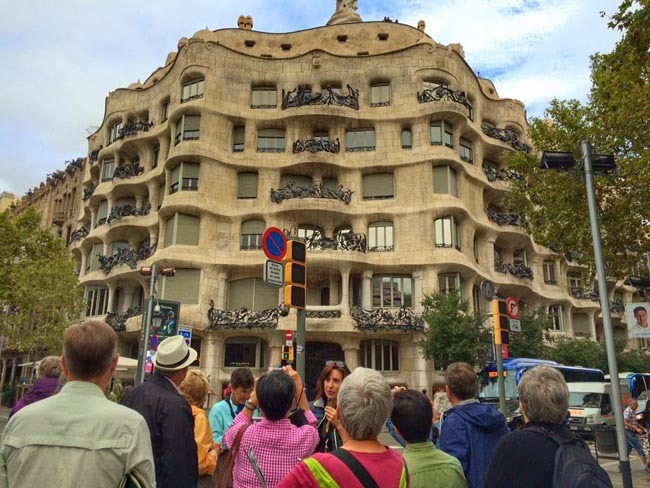 This morning we drive to the town of Estella for a one-hour walking tour around town. This town is also known as Estella la Bella for its beauty and was also a favourite pilgrim stopover. The creation of the town in 1090 is associated with a mysterious statue of the Virgin found in a cave nearby. The town is full of Romanesque religious buildings dating from the 12th and 13th centuries. We walk to the Monasterio de Irache a 10th century Benedictine monastery, for a look at its Fuente de Vino, a wine fountain built by the monks of Irache to refresh passing pilgrims. From Azqueta we hike to Villamayor de Monjardin, passing through Fuente de los Moros (slight uphill). In Torres del Rio we pause to visit the Eglesia Santo Sepulcro, a 12th century gem of Romanesque architecture and a highlight of our day. We continue our walk through tiny villages and end in the fortified Basque village of Laguardia, where we spend the night. This is a rather long stretch with lots of sun exposure, though it is almost completely flat. DAY SUMMARY: Today's walk is about 14 km (8.75 mi). Burgos preserves one of the greatest collections of Gothic art and monuments in southern Europe, yet it has also had a long role as a military camp, from the days of El Cid in the 15th century to General Franco, who during Spain's Civil War made Burgos his capital. It was here that Franco held his infamous trials of 16 Basque separatists. The Kingdom of Castile was born in the town of Burgos, and its castle stands on what was the Moorish frontier in 884. Old Castile and Leon, which we visit in a few days, encompass two ancient kingdoms on Spain's Meseta, a semi-arid expanse of dun-coloured plains spotted with patches of mountains. * NOTE: The castle maybe closed during our spring departures, in which case we will be able to admire from exterior only. Our summer and fall trips should be able to visit the interior. We drive to the 14th century remains of the Monasterio de San Anton and then pick up El Camino and walk to the medieval castle and village of Castrojeriz (flat, 3 km). El Camino follows the regular asphalt road on this section, but there is little traffic and the road is lined with poplar trees. We enjoy the fine Gothic church called Santa Maria del Manzano, named after a local apple tree where a statue of the Virgin was found. Those who like can take an optional scramble up the castle (45 minutes, steep, but well worth it!). Afterwards we drive to Boadilla del Camino, where we check out some interesting dovecotes, then continue our walk to the town of Fromista (flat, 6 km), a key stop since the days of the Codex Calixtinus. Here we visit its perfect Romanesque church, the golden St Martin, founded in 1035 and restored in 1893 by the arch restorer in France, Villet-le-Duc. The church is now a national monument. 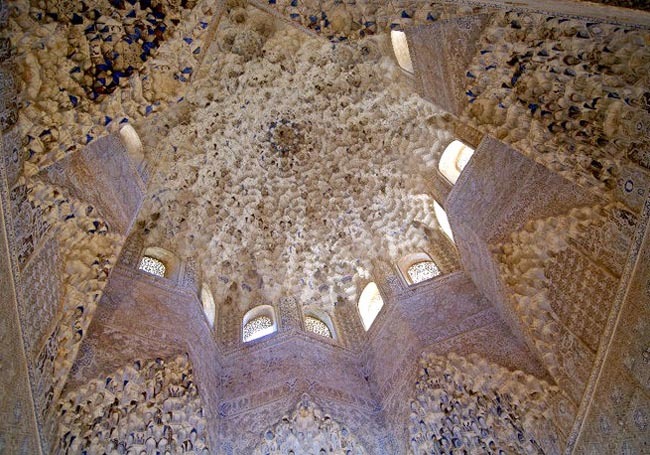 The barrel-vaulted interior is loaded with extraordinary sculptural detail full of occult and medieval symbols. From Fromista, we drive to our hotel in the ancient town of Carrion de los Condes, with its two 12th century Romanesque churches. Our accommodation here is a beautiful monastery that has been converted into a hotel. 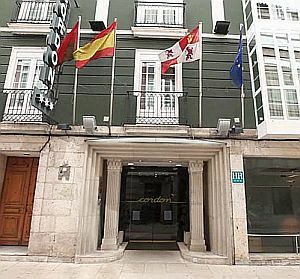 In Spain, a number of historic buildings of notable architecture have been converted into fine hotels and are known as Paradores. DAY SUMMARY: Total walking, 9 km (5.6 miles). Overnight Carrion de los Condes. After a leisurely morning in Carrion de los Condes, we leave the mountains and drive across the treeless plains of Castile to visit the engaging city of Leon, for a non-trekking day. 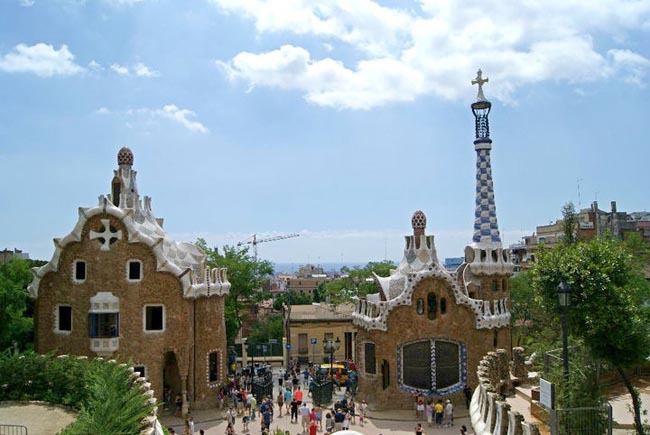 Within the two cities it encapsulates, ie the old medieval part and the modern one that stretches alongside the river, there is an extraordinary historical and artistic heritage. 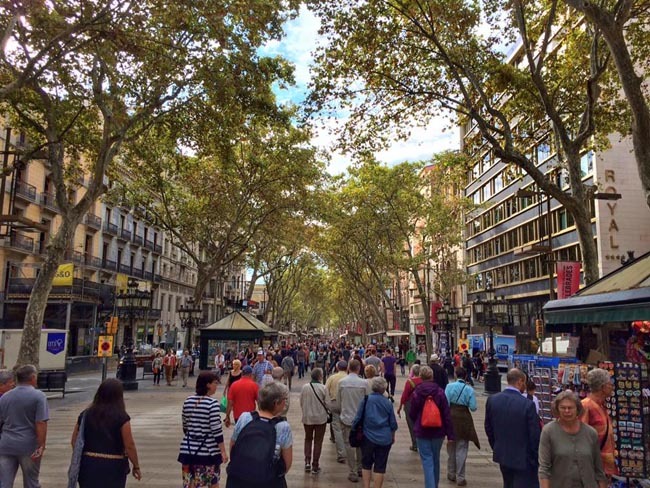 The Roman and medieval walls in between help to highlight the beautiful contrast between the old quarter and the squares, known as the Plaza Mayor and the Plaza del Mercado, and the avenues, modern buildings, parks and gardens that lie to the west. The three most characteristic monuments that stand out for their great artistic value in Leon are the Cathedral, the Collegiate Church of San Isidoro and the Convent of San Marcos. We drive to the village of Santa Catalina de Somoza to begin our walk to El Ganzo (5 km, slight incline), where on the main street we can visit a craftsman who makes walking sticks from local beech trees. We begin our hike here climbing a path through the forest to emerge in a moor of heather and Scotch broom. We stop to enjoy views from the top of the Montes de Leon. Our hike takes us up to the town of Rabanal del Camino (slight rise, 7 km), where the bus picks us up and drives us to the stunning Cruz del Ferro. From here we walk downhill to Manjarin (2km) where the bus will pick us up and drive us to Acebo for a visit. We depart Acebo by bus and drive down a steep switchback road (5km) to Compludo where we can see a medieval-era forge still in use. Later, we drive to the charming town of Villafranca del Bierzo, capital of a former station on the pilgrim's road to Santiago. Villafranca del Bierzo was built in the 11th century at the confluence of two rivers and is surrounded by mountains. As its name suggests, it was founded by the French and in its heyday had six pilgrim hospices and eight monasteries. DAY SUMMARY: Today's hike is about 16 km (10 miles). The lush Cordillera Cantabria mountains are the last barrier before Santiago. Here in a very rural stretch of Galicia, we find Spain at its most Celtic. We hike today on a part of El Camino that rarely coincides with any roads and is especially pleasant. The first 3km (1.8 mi) are steep, then the route levels off to a gentle incline for about 6km (3.7 mi). The final 3km is a gentle descent to Trabadelo. For those not wanting to climb, there is another option along the little used road below that winds through the valley. DAY SUMMARY: Today's hike is about 12 km (7.5 mi). We drive to Ferreiros, with its Romanesque churches and many rural villages, where we begin our relatively easy day's walk (mostly flat). This stage is one of the most beautiful because of its mountain scenery and countryside. We pass down through the Mino Valley we will arrive to Portomarin, passing through small hamlets along the way. We finish our day at nearby Palas de Rei, an important town in the Middle Ages located on El Camino. DAY SUMMARY: Our hike today is about 12 km (7.5 miles). 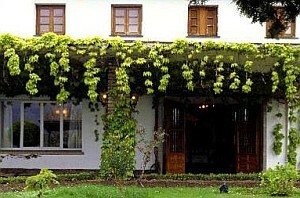 Overnight in Palas de Rei. Palas de Rei is an excellent starting point for today's on-foot exploration of more Galician countryside. We follow lovely backroads that pass through hamlets and farms flanked by grain silos in granite. We will see the first forest of eucalyptus, which heralds the proximity of the ocean. The churches here are small and very moving, and numerous religious crosses along the way testify that Christianity is deeply anchored in the land of Galicia. We walk downhill to Leboreiro, a medieval village famous for a 14th Century miracle in which the Eucharist was transformed into actual flesh and blood. We continue on mostly flat ground to Melide from which we drive to Lavacolla. We have relatively easy walking today despite the length of 16km (10 miles). DAY SUMMARY: 16km (10 miles), well-trodden easy terrain. This morning we see Santiago from the ancient pilgrim overlook above town, and then make our final hike, about 9km (5.6 miles), following El Camino into Santiago itself, where all roads lead to the vast central plaza and extraordinary cathedral containing the remains of St James. We walk uphill for the first hour or so to Monte de Gozo then downhill for about 2 hours into Santiago. Santiago is one of Spain's most beautiful cities, built of golden granite and declared a national monument in its entirety. It's a wonderful place to walk, with its arcades and flagstone streets, and we have the afternoon free to enjoy the town. The art of the vine is ever present here; even the rooms are named after a particular type of grape. ...	include the living room furnished with interesting antiques pieces, a fine little bar and library. This sum of great wine, food, lovely rooms and decor makes for a winning combination and it comes as no surprise that the Don Cosme Palacio is widely considered to be one of the best bodegas in the region. Located at the heart of the city, next to the House of the Cordon, where the Catholic King and Queen ...	Columbus back from his second trip to America, this hotel provides the traveller with the peace and quite silence of a walking area. In less than five minutes guests can reach the famous gothic Cathedral of Burgos and the futurist Museum of the Human Evolution. Villafranca del Bierzo is the centre of a lovely region and also a stop on St James Way. 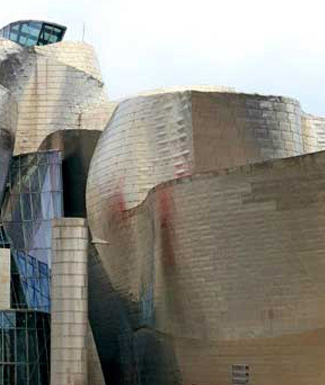 The hotel's ...	imitates the lines and shapes of nearby Galicia. The wooden floors lend elegance and comfort to the bedrooms and other rooms of the hotel. The lounge, one of the most attractive spaces in the Parador, is welcoming and comfortable. La Cabaña (the Cabin) as its name suggests is a charming hotel built completely of wood. 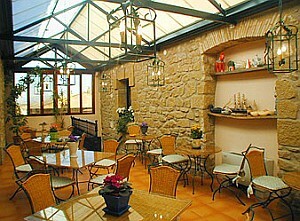 It is situated in ...	grounds, surrounded by gardens, pines and chestnut trees. The Camino de Santiago passes right by the property. Breakfast and dinner (hotels & local restaurants) daily. All accommodation, transport, sightseeing and entrance fees for sites noted as 'visited' in the detailed itinerary. Gratuities for local guides, drivers, restaurant staff, porters. Airport transfers for land & air customers and for early arriving / late departing land & air customers who book their extra hotel nights through us. In this northerly part of Spain, one can experience cold and wet weather into the spring and even in late summer/early fall. As such, we plan this trip for the summer months when we can expect warm fine days and cool mornings/evenings. In this part of the country, showers can occur at any time but are least likely in summertime. This also means that the trail will be busy with other hikers; however, this is likely going to be the case on a pilgrimage route! Meeting other "pilgrims" along the way is actually a big part of the fun! Ground transport throughout by private air-conditioned motor coach, 24 seats depending on ultimate group size (see 'group size'). Road travel is not particularly arduous as there are plenty of stops of interest and distances are not great. Moderate walks on rolling terrain, well-worn paths, 3-6 hours per walking day. Vehicle support for luggage--you carry only your day pack. 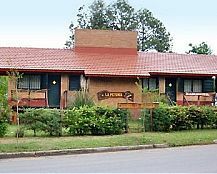 Well-located, air- conditioned, mid-range hotels and inns (3 star) throughout. All hotels have en suite bath, though some may have shower only. Porter service is sometimes available though you should be independent with your luggage. Single rooms are limited and likely smaller than twins. 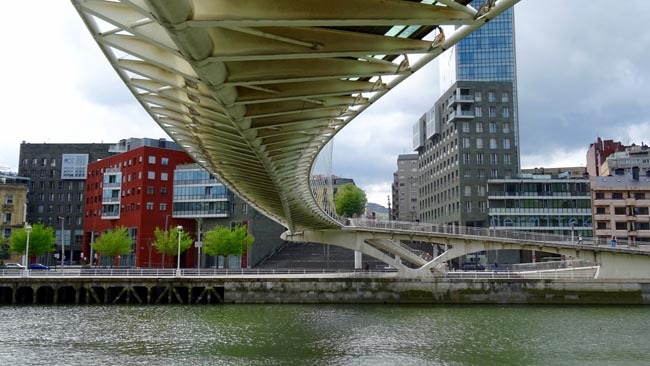 PLEASE NOTE: Due to extremely limited accommodation along el Camino, our hotels may be located a few kilometers outside of the overnight points indicated on our itinerary (with the exception of major centres like Bilbao, Leon, and Santiago).